Any new iPhone owner, or any previous iPhone owner that has just picked up an iPhone SE, will find that there are certain settings that they don’t like. Apple’s new iPhone owner guide can provide some direction for the settings that you might want to change, but I have found that one I always adjust involves the clicking sounds from the keyboard. 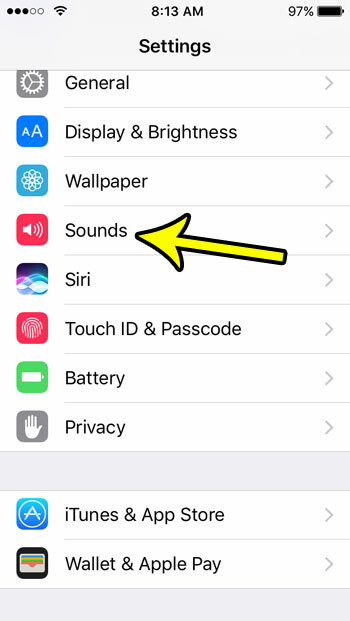 The sound that we are going to be disabling in the guide below is the typing sound that you hear when you are sending a text message or email, and the phone is not muted. This audio feedback is meant to aid in typing, but many people find it to be annoying or distracting. Luckily you can disable that sound by following the steps below. The steps in this article were performed on an iPhone SE using the iOS 10.3.2 operating system. 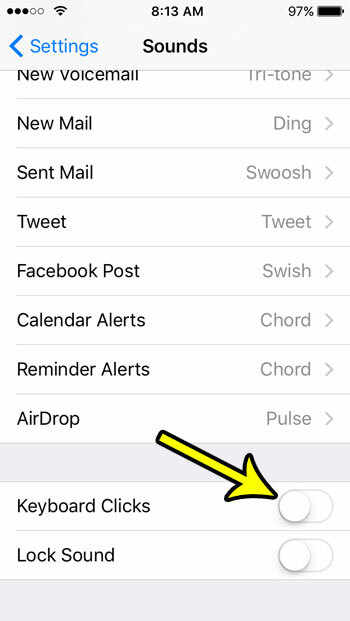 Following these steps will turn off all of the clicking sounds that you hear when typing on the default iOS keyboard, in apps like messages and Mail. Step 2: Choose the Sounds menu. Step 3: Scroll to the bottom of the menu and tap the button to the right of Keyboard Clicks to turn it off. 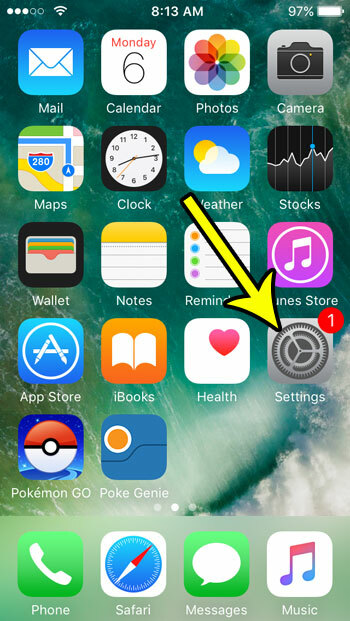 Note that there is also an option under that one for Lock Sounds, which you can disable to quiet the noise that you typically hear when locking and unlocking your phone. Did you just get your iPhone SE and you need a case to protect it? or do you already have a case, but you’re looking for a new one? Amazon has a great selection of iPhone SE cases, many of which are less expensive than the ones you find in other stores. Is your iPhone’s screen shutting off too quickly when you’re trying to read a recipe, or use your phone in some other way that you might not touch the screen for a while? Learn how to make the iPhone screen stay on longer and make it a little easier to use in certain situations.